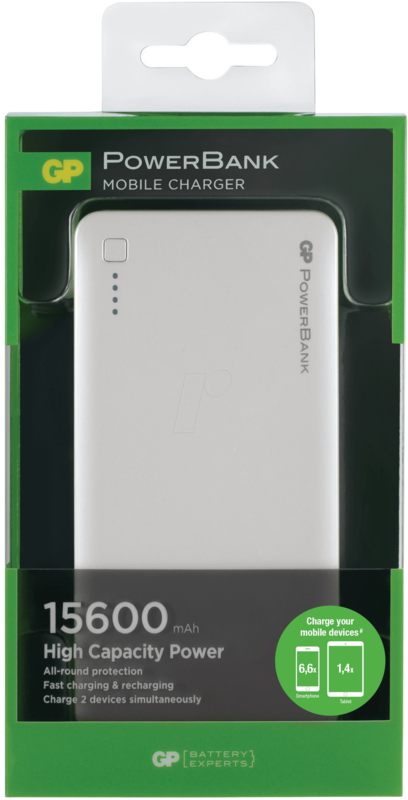 The GP PowerBank 3C15A is a powerful PowerBank designed especially for charging tablets like the iPad and Samsung Galaxy Tab. 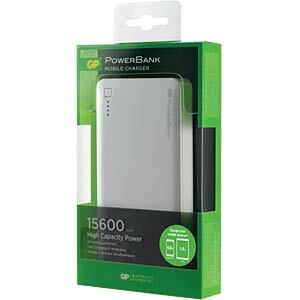 With 15,600 mAh, the PowerBank is so powerful that it can charge a tablet no less than one and a half times. 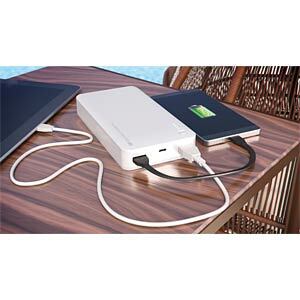 You can fully charge your smartphone more than six times while you're out and about. 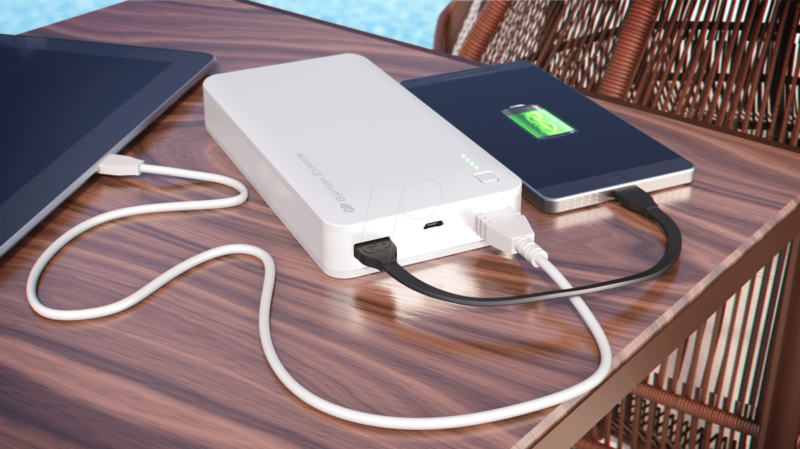 The PowerBank 3C15A has two ports: one for charging tablets (2.1A) and one that enables you to connect your phone for example at the same time. So you will never have a dead battery or tablet again while you're out and about. The device is also fitted with four LED lights that indicate the charging progress and the status of the PowerBank itself. 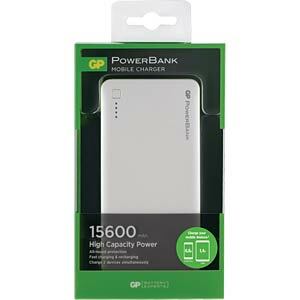 Manufacturer GP Batteries is one of the most prominent developers of high quality PowerBanks. The company has more than 50 years' experience in the production of rechargeable batteries and related products.